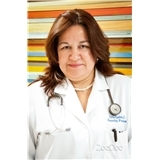 Family Physicians Associates (Miami Beach) - Book Appointment Online! Very good experience. All done in one place including blood sampling. Doctor was very kind and covered all topic of my interest. I was on time and all in all it took me 1 h for all checks.